Air conditioner lifting equipment challenges can create a very difficult and tedious task. Only a professional licensed crane company can provide the full safety and effectiveness when lifting an HVAC unit from a commercial or residential building. AC Lifting Equipment needs to be handled with qualified hands and we at Desert Crane are the ones for the job. 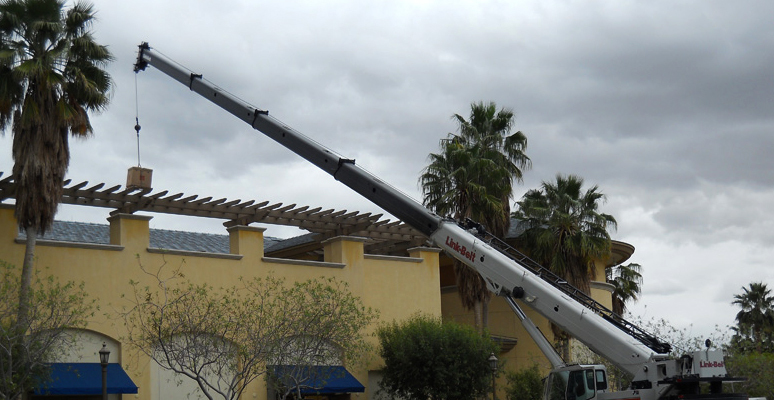 At Desert Crane Service in Coachella Valley, we provide professional, reliable and safe crane lifting services for residential and commercial HVAC units. Our crews have the expert ability to handle any air conditioning lifting equipment project, no matter how big or small the unit may be. We also have the ability to move these air conditioning units from any location of your building, whether it's being transported from the roof, side or backyard, or even over any building or object that may be in the way of transport. 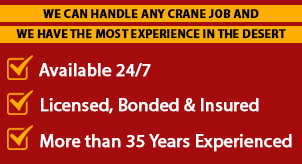 Our licensed crane operators are experienced in light and heavy duty air conditioning unit lifting. 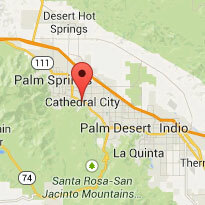 If you need commercial or residential crane service for lifting air conditioner units in the Palm Springs, Cathedral City, Rancho Mirage, Indian Wells, Palm Desert or Indio area, be sure to give us a call. We will do our best to ensure same day or next day service.